Is your electric oven playing up? Problems with your cooling fans, timers or grill elements? We know how inconvenient it can be when any household appliance breaks down or stops working. At Harbour Appliance Services, we pride ourselves on a first-class, fast and efficient repair service. 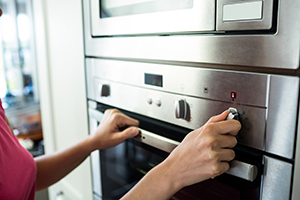 Our appliance engineers are fully trained to repair any problems that might come up with your cooker . We can repair all cookers and hobs, be they old or new, and all of our work is 100 percent guaranteed. We repair all top brands and models including Admiral, Zanussi and Smeg. Repairing your electric stove is very often more cost-effective than replacing it. So what are you waiting for? Call Harbour Appliance Services today and we’ll make your broken or faulty stove as good as new.